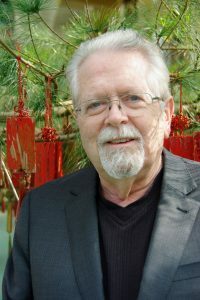 Dr. J. Gordon Melton, became Distinguished Professor of American Religious History of Baylor University’s Institute for Studies in Religion in March of 2011. He also serves as the director of the Institute for the Study of American Religion in Woodway, Texas. Since joining ISR, he has been developing a set of joint projects between ISR and the Woodway-based Institute, the initial project being a comprehensive census of the American Buddhist and Hindu communities completed in 2012. Since that time he has worked on a church survey of McLennan County (where Waco is located) and a project on the changing state of the church in China. Dr. Melton is a graduate of Birmingham-Southern College (B.A., 1964), Garrett Evangelical Theological Seminary (M.Div. 1968), and Northwestern University (Ph.D. 1975). He is an ordained elder in the United Methodist Church. In 1968 he founded the Institute for the Study of American Religion and has remained it’s director for the last 49 years. The institute is devoted to organizing, motivating, and producing research-based studies and educational material on North American Religion. It has been responsible for the publication of more than 400 reference and scholarly texts since its founding, including multiple editions of the Melton’s Encyclopedia of American Religions (9th edition, 2016). In 1985, the Institute, which was founded in Evanston, Illinois, moved to Santa Barbara, California. At that time the Institute donated its research library to the Davidson Library at the University of California—Santa Barbara, where it now exists as the J. Gordon Melton American Religion Collection. Since moving to Baylor, Dr. Melton completed the editing of the second edition of the award-winning Religions of the World: A Comprehensive Encyclopedia of Belief and Practice, and Religious Celebrations: An Encyclopedia of Holidays, Festivals, Solemn Observances, and Spiritual Commemorations and most recently completed the four-volume Faiths across Time: 5,000 Years of Religious History (2014). Dr. Melton is a pioneering scholar in the field of New Religions Studies and helped to create the sub-discipline. He sits on the international board of the Center for Studies in New Religions (CESNUR) based in Turin, Italy, the primary academic association focusing studies of new and minority religions. Dr. Melton is the author of more than fifty books and numerous scholarly articles and papers. He currently resides in Waco, Texas, with his wife Suzie. His daughter Melanie Newhouse, the mother of four, resides in Santa Barbara, CA.